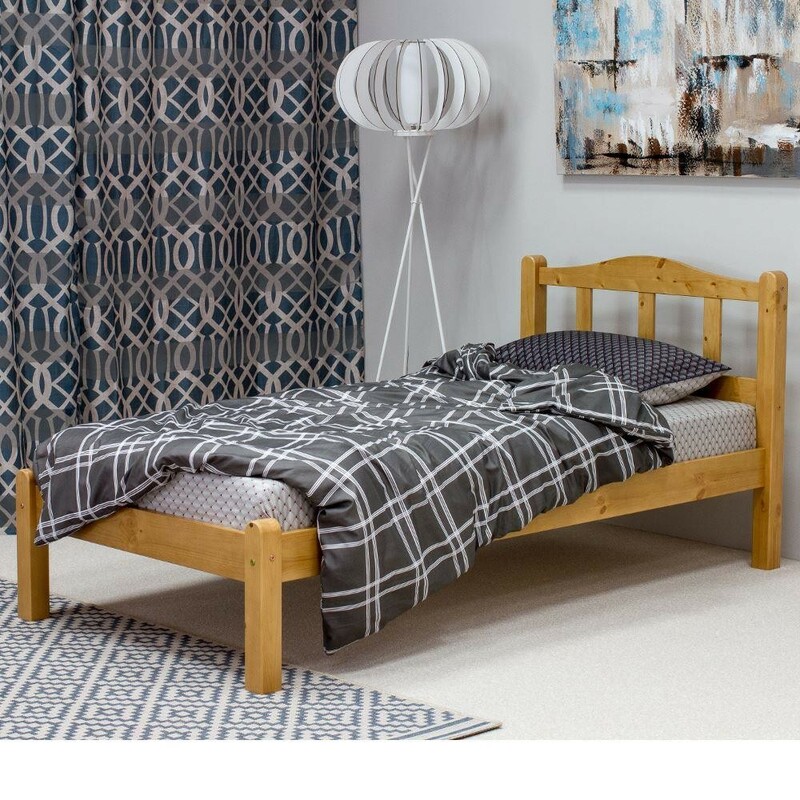 Designed with an emphasis on simplicity as well as an eye for traditionally rustic style, the Amberley Antique Pine Wooden Bed acts as an excellent and essential bedframe for any room, whether it's the master bedroom, a young adult's room or a guest room. Built from and finished with a traditional pine, the Amberley Antique Pine Wooden Bed serves as a serene bedframe. The Amberley Antique Pine Wooden Bed also stands as a shining example of exemplary craftsmanship, thanks to its sturdy solid slatted headboard and solid slats making up the base of the frame. Despite arriving in a flat pack format, the Amberley Antique Pine Wooden Bed is easy to assemble thanks to the easy to follow instructions partnered with it. Even with minimal experience, it shouldn't be difficult to construct the Amberley Antique Pine Wooden Bed in a manner that makes it durable enough to last for years.